Malcolm got a balloon when we bought new shoes the other day, and refused to let it go. He kept it in his hand while eating lunch, napping, going to pick up Gareth, playing on the playground (kinda hard to play and explore with one hand holding a balloon), going to the grocery store, and eating dinner. Occasionally, if you really, really needed him to, he'd switch it from one hand to another. But he would not let go of it for anything - I had to pry it out of his hands before putting him in bed. About 8.5 hours he held that thing, and would've loved to take it to bed with him. 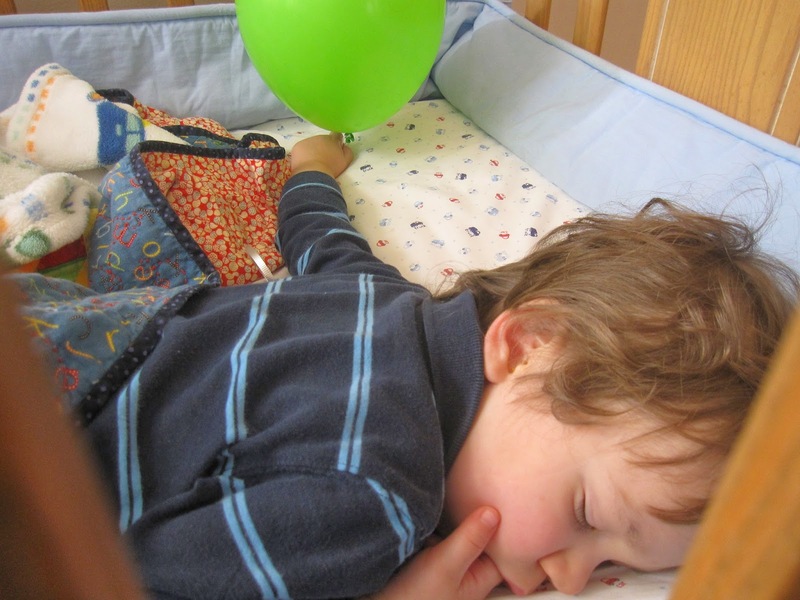 Anyway, I had to wake him from his nap so we could pick up Gareth and at that time was shocked to see him still clutching the balloon. 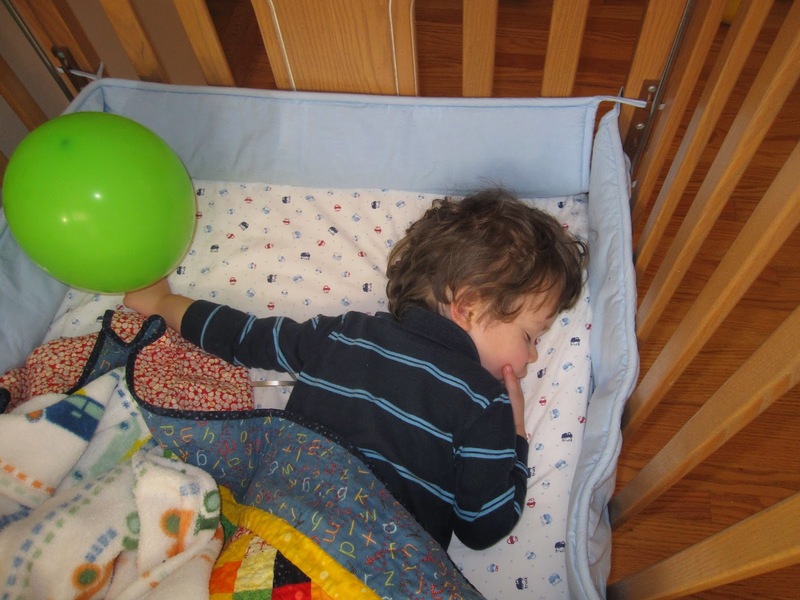 He didn't wake up when I went in, so I was able to get a couple pictures of him sleeping with the balloon in his hand. This balloon wouldn't float by the next day, but just a couple days later Gareth went to a birthday party and the mom gave Malcolm one of the birthday balloons. That balloon is still floating almost two weeks later - and Malcolm is napping with it in hand as I type. That is hilarious. I can't imagine holding onto something for so long. Wouldn't your hand hurt? Apparently all you need to get him for his birthday is a balloon and he'll be happy. :) Cute kid.